Lights not only illuminate a dining room, but can be used for accentuating its certain aspects also. Lighting plays a very important role in the overall décor of a dining room. It can make even a simple room look very much attractive, cheerful and welcoming. While suitable dining room lights can leave a great impression, harsh ones can make the ambience look very imposing. So, make sure to choose the correct type of lighting for your dining room, keeping the necessary tips in mind. Sconce lights are a unique type of wall light which is designed to create focused illumination. 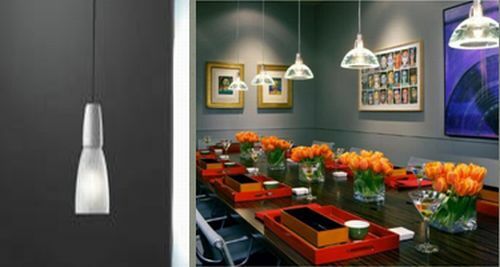 They can be used in a dining room to create a low level of light and to spotlight specific objects or areas in the room that you want to stand out. Sconce lights do protrude from the wall so they should be mounted at around 72 inches from the floor. They also need to match the general décor of the dining room so they don’t stand out. A chandelier is a sophisticated lighting option. There are many different types of chandeliers, each with a unique design. Most use clear or colored crystal to offset the light and to cast reflections and shadows on the walls, ceiling and floors. Chandeliers are one of the most popular lighting options for dining rooms because they provide a very sophisticated look. They are used both for general illumination and to provide a sparkling addition to the room’s décor. A hanging ceiling lamp is a standard style light that hangs either a metal cord or pole. Styles range from retro to conservative to modern, so it will be easy to find one that closely matches your dining room’s décor. You can use these lights on the walls in a different manner. Proper placement of accent lights is necessary to prevent shadows. They are of two types-recessed lights and track lights. Recessed lighting fixtures or recessed can lights produce a relatively low level of light. The main disadvantage of this type of lighting is that it doesn’t produce very bright light. In a dining room, however, this type of dim ambient light is usually desirable. Incandescent track lights add dramatic accents. We can use them to highlight a table centerpiece or to light artwork or serving tables along the walls. They are used to adjust the dining room lighting to suit our mood or to balance the chandelier and accent lighting levels. The ambience in a Dining room need not be very bright…. 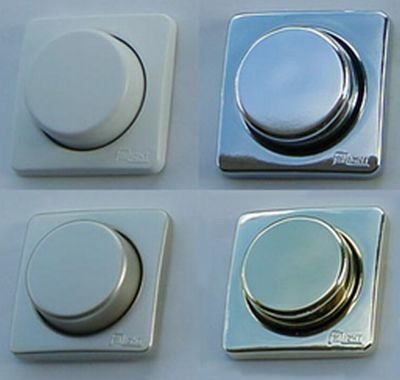 To maintain the intensity of light that is soothing to our eyes, dimmers are used. Dimmers work on the with the help of a rheostat.